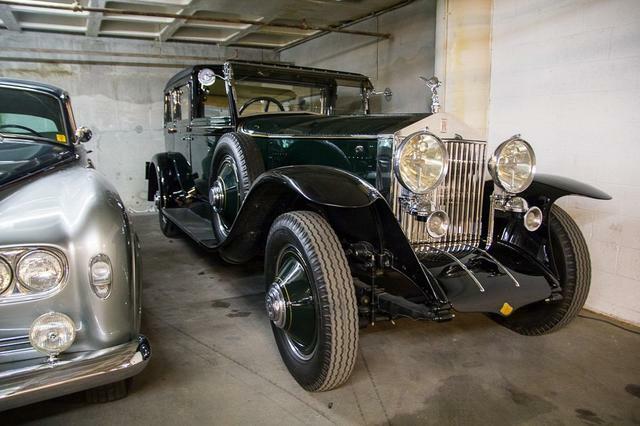 Hidden beneath the museum, the Peterson Vault offers an entire city block’s worth of automotive history, featuring more than 120 famous and infamous vehicles on display as well as the workshops where the cars are restored and maintained. 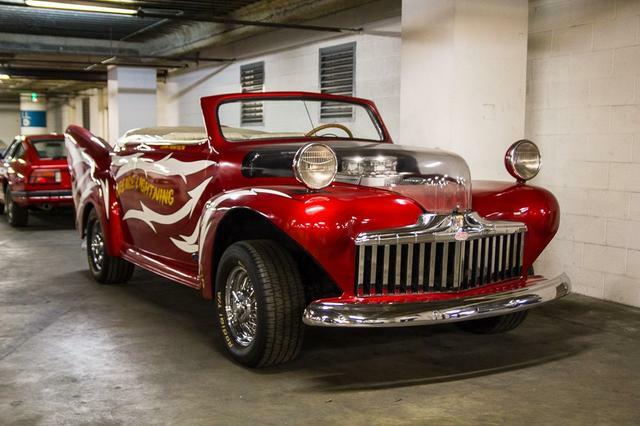 On the private tour, the Petersen guide gives you an up-close look and the opportunity to learn about everything from Big Daddy Roth’s ground-breaking 1959 custom “The Outlaw” to the first-ever bulletproof presidential limo (a 1942/46 Lincoln used by FDR and Harry Truman). From custom hot rods to elegant Art Deco-inspired rides, cars driven by movie stars on and off-screen, and even a Popemobile, there’s plenty for everyone to explore. And the Vault’s capable tour guides provide the fascinating histories and fun facts behind the collection. 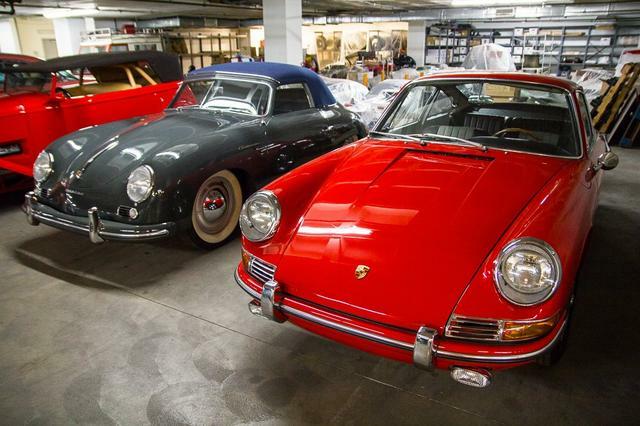 The Vault affords the museum space to store, protect and restore their massive collection and to keep vehicles in prime condition for future exhibits. Taking the tours through the space allows visitors to peer behind the curtain and see tons of stunning and historic vehicles in what feels like somebody’s secret bunker. 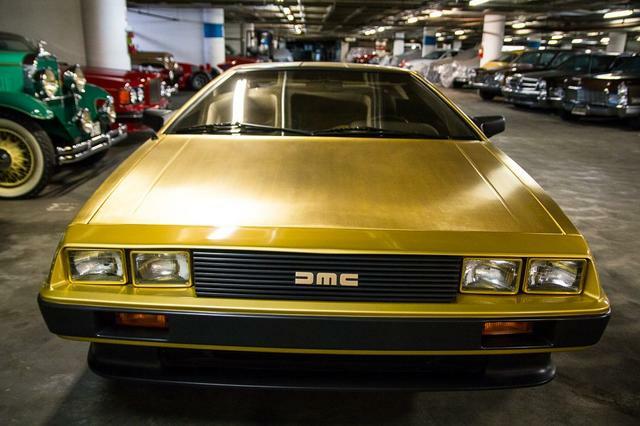 Among the highlights of the tour was, of course, the gold-plated DeLorean, with just 10 miles on the odometer and one of only three built by the company for a special American Express promotion as well as Frank Sinatra’s personal 1965 Barris-customized Zebra Mustang, which has faux-zebra fur on both the interior and exterior, as well as a small TV in the console. The Vault tour is organized sequentially, beginning with the museum’s oldest vehicles including a 1913 De Dion, a 1907 Cadillac Tourer, and a 1911 American Underslung roadster; followed by the industry evolving after WWI with such cars as the air-cooled 1924 Franklin, a front-wheel drive 1929 Ruxton Model C Roadster and practical 1932 Model A Woody station wagon. Man’s early quest for speed is embodied in the powerful 1923 7.2 liter Mercedes Targa Florio, the sleek 1929 DuPont Model G Speedster and one-of- a-kind 1927 Pedroso roadster with wicker patio-chair seats. 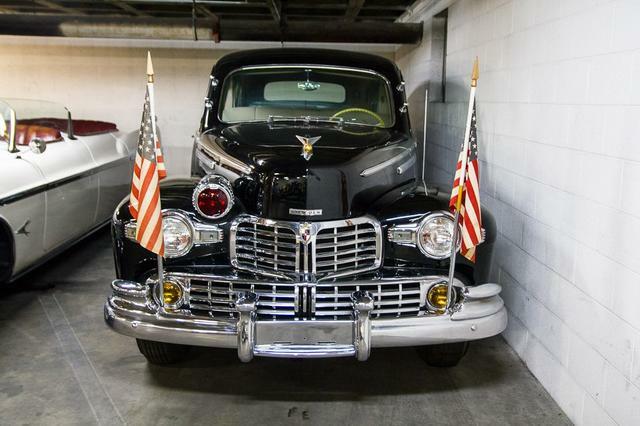 The tour moves on to the museum’s Parade Cars built for heads of state including Saddam Hussein, Juan Peron, Leonid Brezhnev and the Pope’s specially built Cadillac as well as FDR’s first armored limousine ordered after Pearl Harbor. Although a number of the museum’s “crown jewels” such as the “Round-Door” Rolls Phantom I and Steve McQueen’s XKSS are currently displayed in the public areas of the museum, a surprising number are stored in the Vault. 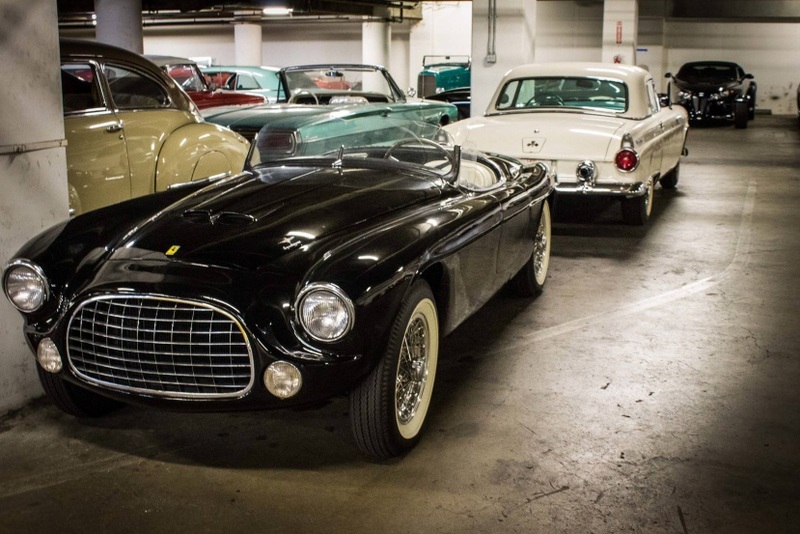 These include the black 1952 Ferrari 212 Barchetta, ordered by the Ford Motor Company for Henry Ford II, it is the last Barchetta ever built and the last non-racing Ferrari bodied by Touring. 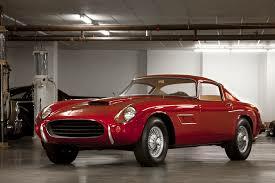 Absolutely original down its white wall tires by Firestone, many of the car’s styling cues were transferred to the early T-Birds including the egg crate grill. 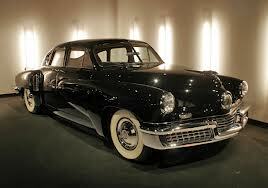 Another rare gem, the museum’s 1948 Tucker Torpedo, was Preston Tucker’s personal car donated by his family, one of only 50 cars produced. The short-lived Tucker was the most advanced car of its time incorporating safety features such as seat belts, a central headlight that turned with the front wheels and rear-mounted flat six helicopter engine. 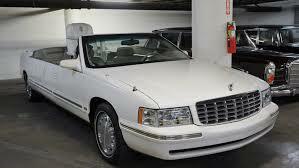 The vault is also home to tons of famous movie and TV cars which are rotated into the exhibit in the main building. 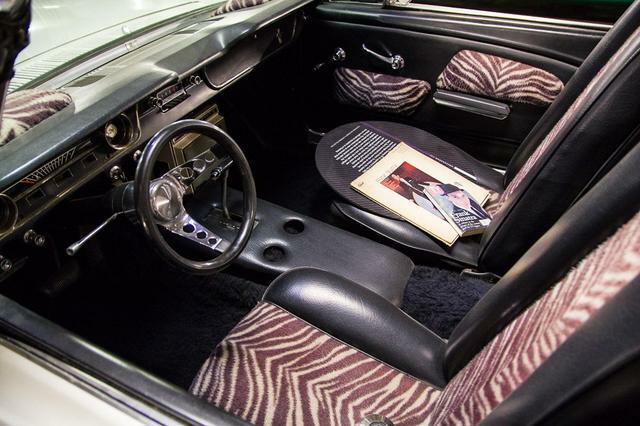 These include the “Thelma & Louise” 1966 T-Bird convertible, “Magnum PI’s” 1982 Ferrari 308 GTSi specially custom-fit for star Tom Selleck, the bright yellow 1971 De Tomaso Pantera which Elvis shot bullet holes in when it would not start, and the star-car 1946 Ford “Grease Lightning” from the movie version of “Grease”. There are also an amazing number of famous hot rods and customs including multiple America’s Most Beautiful Roadster winners notably the innovative 1927 Ford “XR6”commissioned by Hot Rod Magazine in 1963, the 1933 Ford “Impact” designed by Chip Foose which won in 2001 and the futuristic custom “Alien” by the Himsl Brothers winner in 1969. 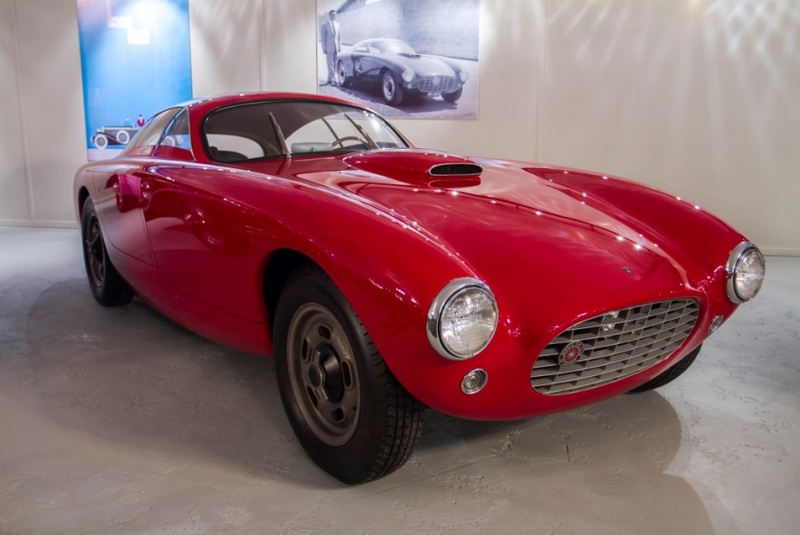 These share the garage with Italian-American hybrids such as Rita Hayworth’s 1953 Series 62 Cadillac by Ghia, a 1959 Corvette Italia prototype designed and built by Scaglietti and a 1953 Nash-Healey by Pinin Farina. In between are random rare collectibles including Steve McQueen’s 1952 Hudson Wasp coupe, the unique 1953 Bosley GT Mark I which sports a 55-gallon fuel tank for long distance racing and an original prototype Porsche “901” which was a test vehicle for the 911 model and is believed to be only one of five surviving cars. 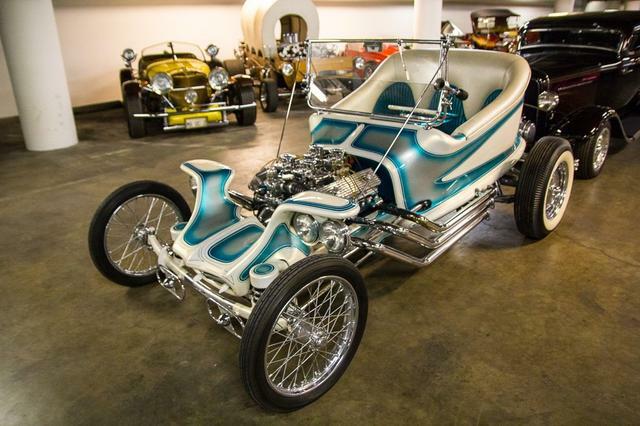 From hot rods and concept cars to the automobiles of Hollywood, the Petersen Vault is truly fitting for a city that is one of the world capitals of car culture. It is highly recommended to stop in for a peek when you visit Petersen Automotive Museum the next time you’re in Los Angeles. 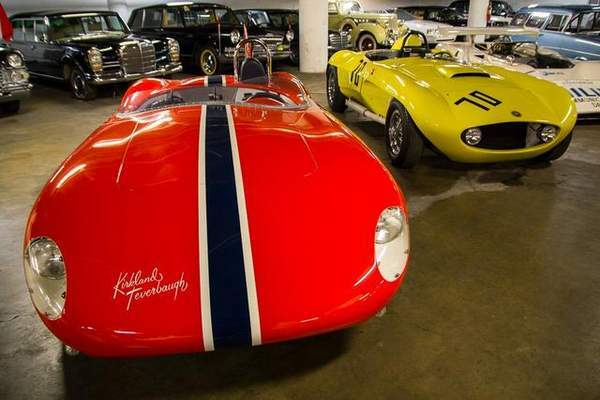 The Petersen Automotive Museum is located at 6060 Wilshire Blvd., Miracle Mile, (323) 930-2277. Vault tour tickets are $20 and must be purchased with a general admission ticket. Children under 13 are not permitted on vault tours, sorry kids. More information and tickets can be found here. ← Spring Break! In L.A., the sparkling “new” Petersen Automobile Museum is a must-see for car guys…and there is plenty for the whole family to enjoy!